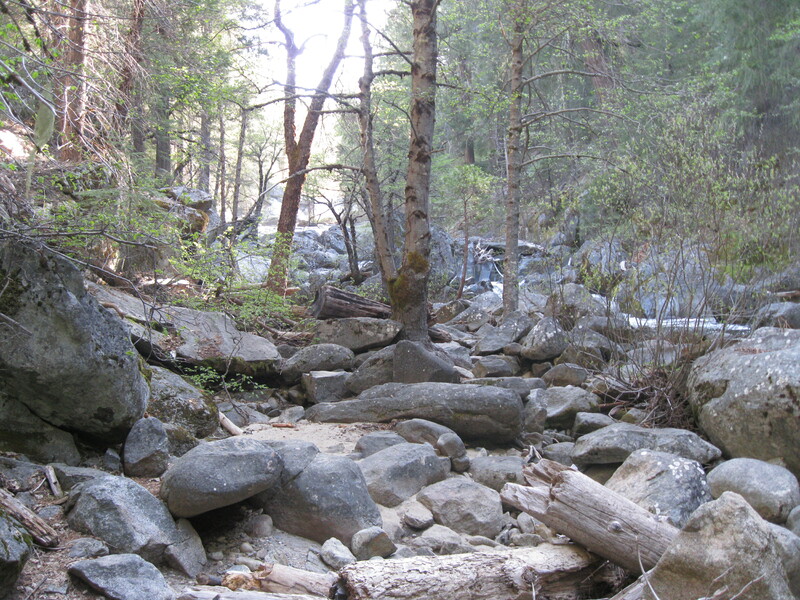 The unmarked trail to Carlon Falls began in the Stanislaus National Forest on the north bank of the South Fork Tuolumne River. 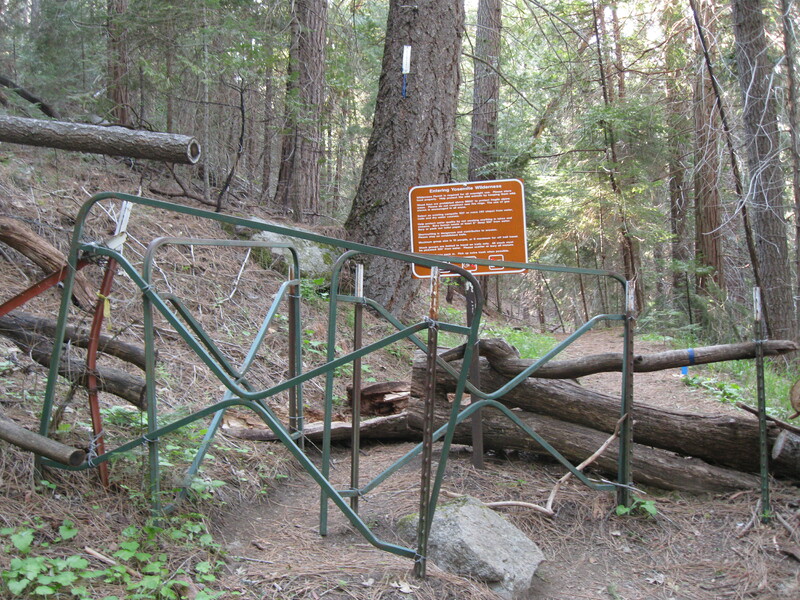 The trail entered Yosemite National Park through a metal maze. The metal maze you walk through when entering Yosemite National Park from this trail. I hiked alone through the shady forest on my way to Carlon Falls. 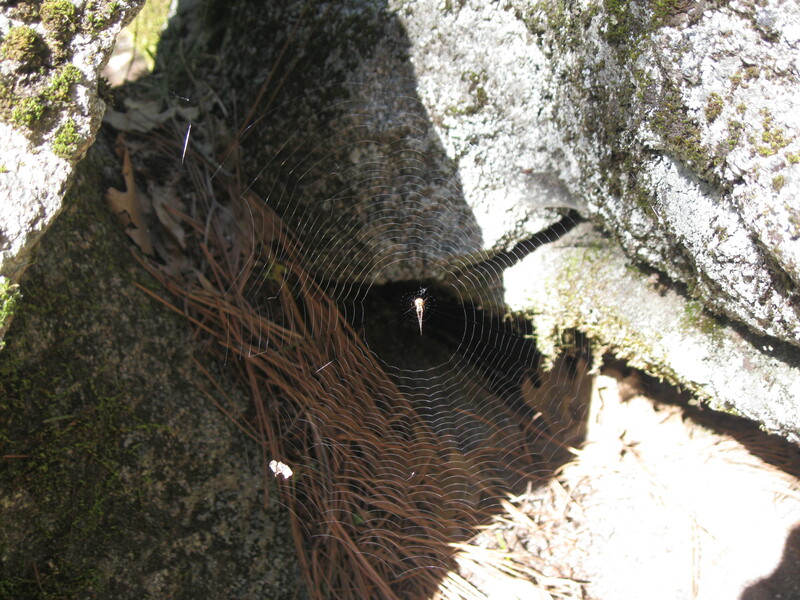 Spider webs strewn across the trail tickled my face as I broke the invisible snares. 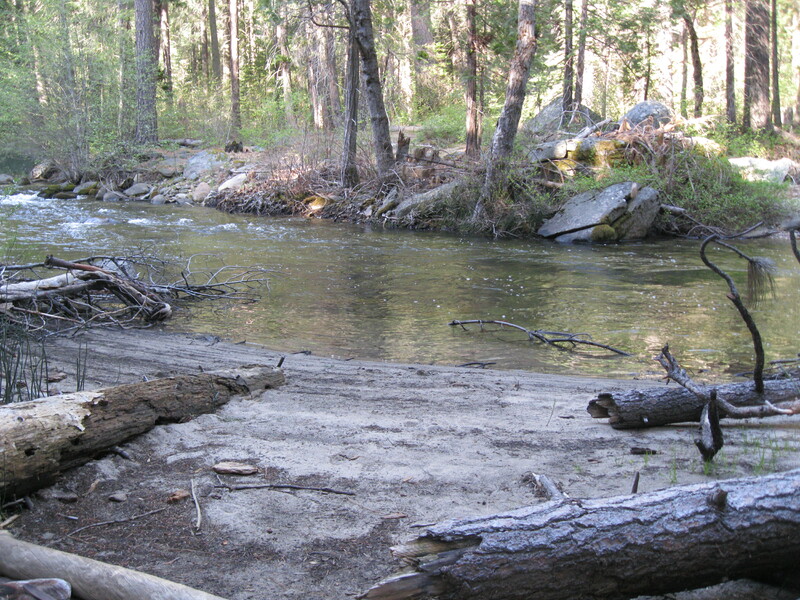 The sandy trail bordering the river led to a private beach. It turned away from the water then led steeply uphill along an eroded hillside, down a slippery slope and back towards the water. 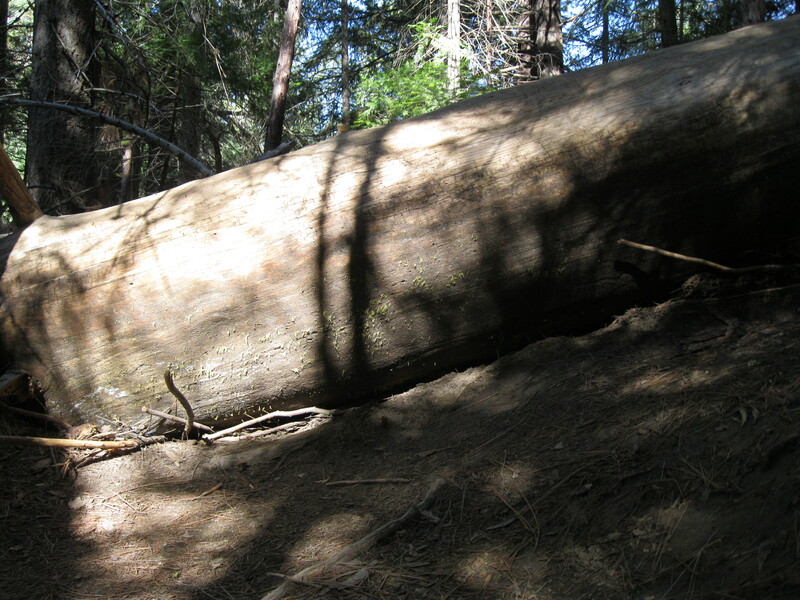 A tree that I had to climb over because it was blocking the trail. The closer I came to the falls, the harder it was to see a clear path. Climbing over boulders and rocks, I forged my own way. Making my way to the river included walking through this rocky patch. Scanning the area, I eventually found a barely visible animal trail and followed that up to the next level. The granite near the water’s edge was smoothly polished. 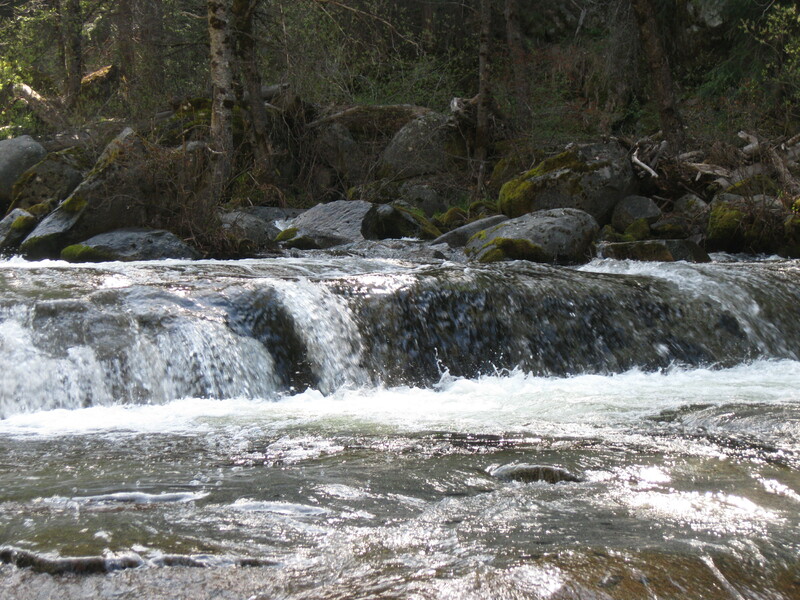 A lower cascade of Carlon Falls. Looking up, I could clearly see the trail that I missed. Returning was much easier when walking on the correct path. The upper most cascade of Carlon Falls. 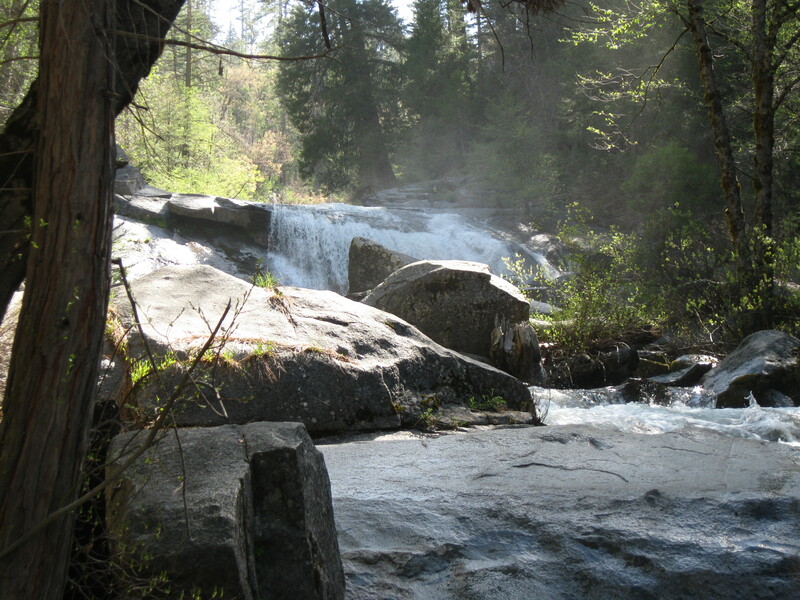 This entry was posted in Yosemite Hikes and tagged Carlon Falls, Hiking, South Fork Tuolumne River, Stanislaus National Forest, Yosemite on May 12, 2012 by Janet. Beautiful photos! I totally agree with your profile statement.